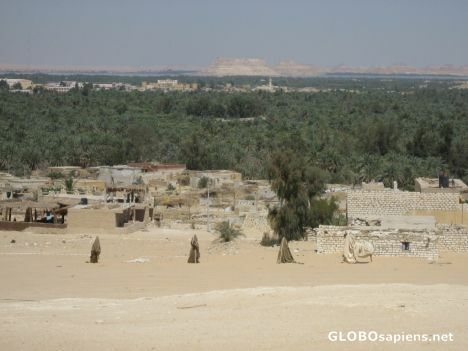 Siwa sits at the edge of the Great Sand Sea. These baths (see the tents?) are thought to have healing powers. You strip to your skivvies and lay in a hole at the base of the tent pole. You are then burried in the sand for an hour while the tent is spread over you to prevent over heating. Siwa and it's very salty natural lake lay beyond.